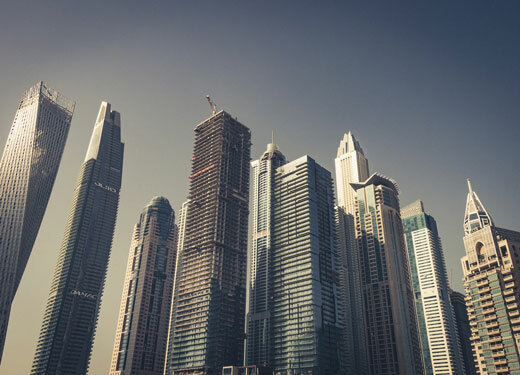 The total value of property transactions in Dubai reached AED17 billion (US$4.62 billion) in May, up six percent compared to April, according to new data issued by the Dubai Land Department (DLD). May 23 marked the month’s peak in terms of transactional values, with sales worth AED1.4 billion that day. The May result marked another strong month of growth for the emirate’s property market in 2018. According to DLD data, almost AED58 billion-worth of transactions were reported in the first quarter of 2018. In 2017, Dubai recorded AED284.5 billion-worth of property transactions, up from AED268.7 billion in 2016. With more than 200 nationalities already active in Dubai’s property market in the 18 months to June 2017, property sales in Dubai are forecast to accelerate further thanks to the decision by UAE authorities to grant 10-year residency visas for investors, entrepreneurs and skilled workers, as well as allowing 100 percent foreign ownership of new business ventures set up in the emirate. Previously, 100 percent foreign ownership was restricted to freezones located across the UAE. The new visa system is designed to make Dubai even more appealing to investors while increasing the UAE’s economic competitiveness. Hussain Alladin, head of IR and research, Global Capital Partners, described the visa initiative as a “game changer for the real estate sector”. “This visa residency initiative was what sparked the 2002 freehold boom and now with this longer-term initiative, it is likely to give a further impetus to the sector as it is for the entire economy,” he added.